Pie Fundraisers make excellent fundraising events that continually create huge profits because they are tasty and easy to sell. Kids understand desserts and, therefore, have an easier time selling these items. Our pies are much different than the ones you find at the local store. Great care is taken to ensure that they taste like they were home-made (just like the ones that Grandma used to make). The ingredients used are of the highest quality and a healthy dessert choice because they are all natural and zero grams of trans fat!! PLUS… the best customer service in the business. We will guide you to profitability! So, do not hesitate... 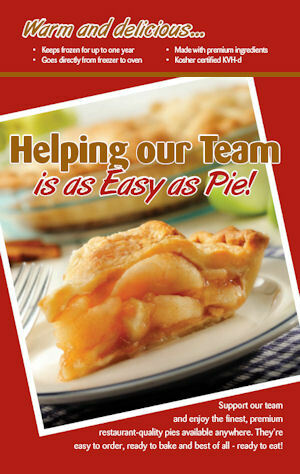 Call today at 800-515-0863 to learn why your school or organization needs to use pies as your next fundraising product. Consultation is free and without obligation. Yes, It's Americana at it's peak of gourmet delight!! 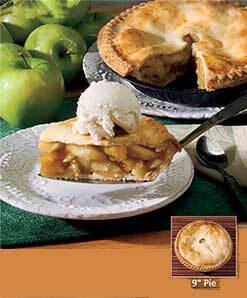 Chef Pierre Pie Fundraiser is delivered to your School's or Organization's foot steps without any doubt. Call: 800-515-0863 for more information!!! Simple fundraisers begin with these delicious and dependable desserts. Choose from a variety of pies, gourmet cakes and New York style cheesecakes. Delicious Desserts & Treats that make your easy fundraisers profitable. All of these fundraiser cakes are hand made from scratch! And, for those conneseurs who delight in a great tasting home-made pie just like from your own oven. Granny's Pies are great for any season. Thanksgiving, Christmas, Easter, Mother's Day, Father's Day, July 4th, Memorial Day, and any special occassion. 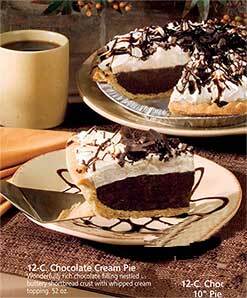 These pies are kosher dairy and are great for the high holidays!!! Return to the top of this Pie Fundraiser page here.